The Zanzibar Collection is a family-owned collection of luxury hotels and resorts on the island of Zanzibar, off the coast of Tanzania. 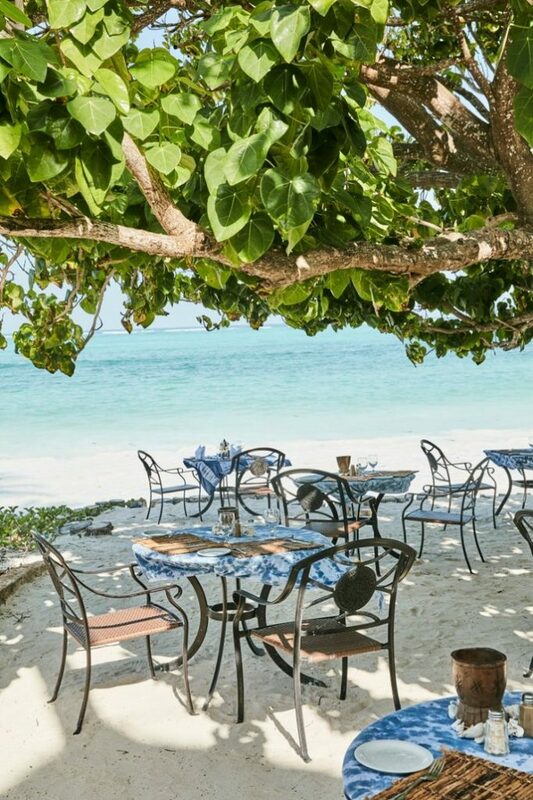 It was over twenty years ago that the Raguz family first fell for the magic of Zanzibar and established the first property in the collection, Breezes Beach Club and Spa. Since then they have added three more properties to the collection. What The Luxury Travel Bible loves most about the collection is that each property has its own individual style and personality. Every luxury traveller will be able to find a resort to suit their needs. 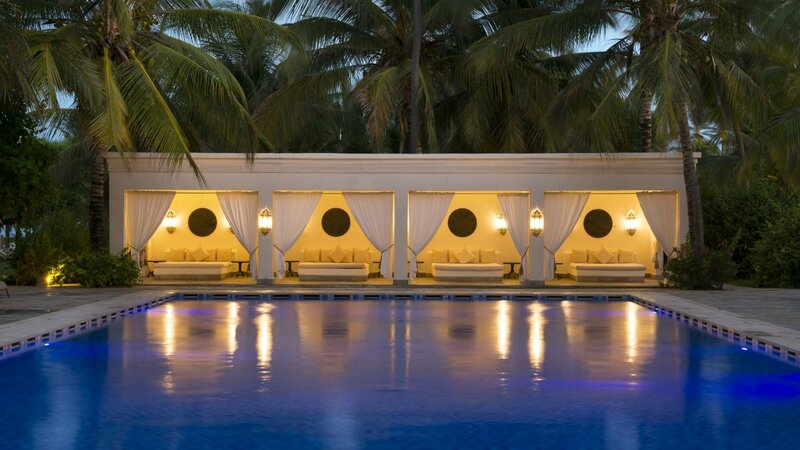 While Breezes Beach Club and Spa is perfect for a romantic getaway, Palms is the most exclusive (the resort has just six private villas) and the family-friendly Baraza Resort and Spa evokes images of the era of the Sultans with its Arabic, Swahili and Indian design. The latest addition to the collection Zawadi Hotel has a laid-back beach style (and the best views in Zanzibar of the Indian Ocean from its cliff-top location). The Raguz family have successfully combined five-star service and hospitality with an authentic Zanzibar style, design and personality. The Zanzibar Collection has dedicated itself to ‘improving the lives and the environment that surround its properties’. Each property is built around three pillars of ‘sustainable tourism: economic, social and environmental responsibility’. It is from this foundation that the company has continued to grow. There are many initiatives in place across the collection that have a positive impact on the island of Zanzibar. 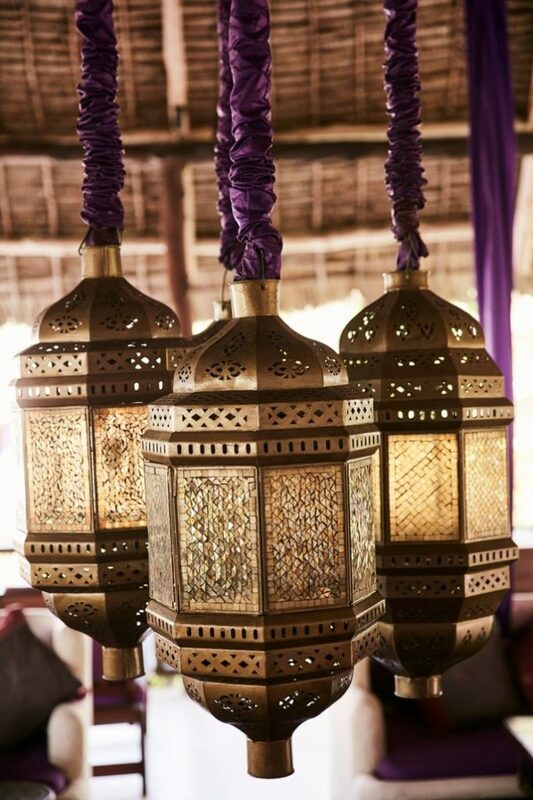 Some of these initiatives include featuring the furniture and work of local craftspeople across the resorts, working to reduce single-use plastic, using locally sourced food produce on the menus and local products in the spas, and promoting experiences that promote the diverse past of Zanzibar (such as visits to Stone Town or Swahili cooking class) to the guests. The Zanzibar Collection also supports the local community and economy and has built a Maternity and Neo Natal Clinic in the local village. 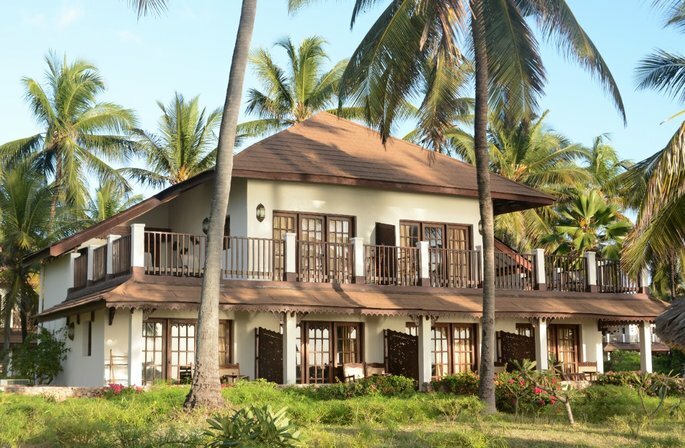 The Zanzibar Collection actively encourages its guests to visit the local village of Bwejuu and discover how it supports the community through education, healthcare and clean water. Since its beginning The Zanzibar Collection has employed local people and currently 90% of the collection’s workforce come from communities in Zanzibar and Tanzania. Employment opportunities are always offered first to locals. Chills of awe, excitement and – to be honest – apprehension run through me as we soar over the snow-capped peak of Mount Kilimanjaro, not so much peeking through the clouds as looming above them. While I had slept peacefully on our first flight, from London Heathrow to Nairobi on Kenya Airways, pure adrenaline was keeping me awake on our brief connecting flight down to Stone Town, Zanzibar. In all my years of travel I have rarely felt so thrillingly out of my element as I did here, soaring above verdant game reserves and arid East African grasslands that popped with vibrant greens and browns. Despite knowing that we had crossed the equator, I still felt a jolt of surprise as the door opened to an explosion of heat and humidity – not a bad contrast after having taken off on a miserable rain-soaked November evening in London. I had been invited to this far-flung corner of Africa to undertake the enviable task of visiting the fabulous Baraza Resort and Spa, one of four hotels that make up The Zanzibar Collection, a group of resorts boasting a rather spectacular setting on the Michamvi Peninsula, the eastern edge of the Zanzibar archipelago’s largest and most populous island, referred to alternately as Unguja or simply Zanzibar Island. On the hour-long drive from the aiport to Baraza near the tiny hamlet of Bwejuu, we whizzed past markets bursting with life, epic tundra, dense jungle and even traversed a few designated monkey crossings in the road. But upon strolling through the hotel’s tasteful Omani-style arches, we were greeted by a very different sight: a stepped garden blanketed in explosively colourful flower beds, a pool nestled in the shadow of towering palm trees and, just few metres beyond, a beachscape so arresting it could be an Instagram photo made flesh. As the sun rose over the Indian Ocean, we watched as crabs scuttled from the emerging shade of one palm tree to the next along an endless stretch of fine white sand bleeding into water flecked with dots of rainbow-coloured coral poking up from below. 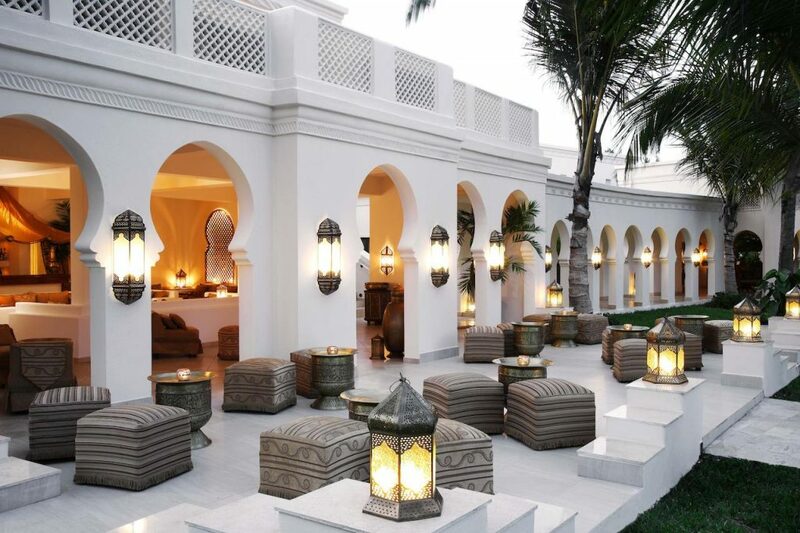 The hotels of the Zanzibar Collection exhibit an intriguing mix of styles and atmospheres inspired by eras of the island’s history, the whole forming an aesthertic narrative of the history of Zanzibar. 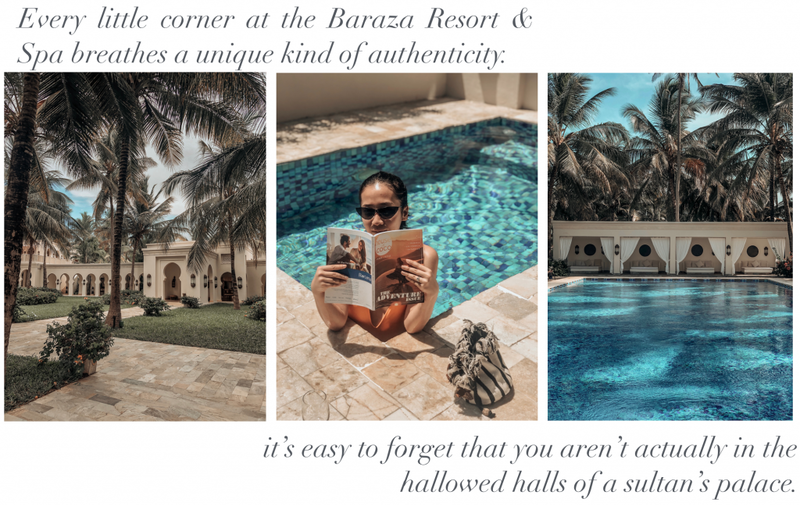 Baraza is perhaps the most sytlistically bombastic of the four, emulating the Sultanate era of Zanzibar, the 250-year period of Omani rule which ended in 1964. 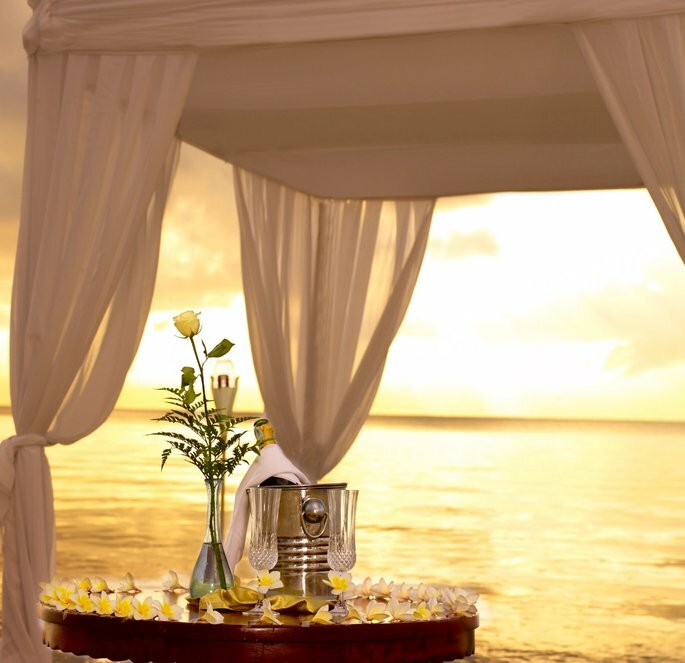 The resort is comprised of 30 private villas, including some just 20m from the warm waters of the Indian Ocean. Mine includes a private garden and pool, two double bedrooms, a living room and an enormous bathroom, the centrepiece of which is a gorgeous egg-shaped bathtub. During downtime at the resort, I found it hard to envisage doing anything beyond indulging in a pot of spicy masala chai, a traditional delicacy of the island, while dangling my feet in the sun-warmed pool. But for the more adventurous, the resort boasts a wealth of activities available to all guests at almost all times. 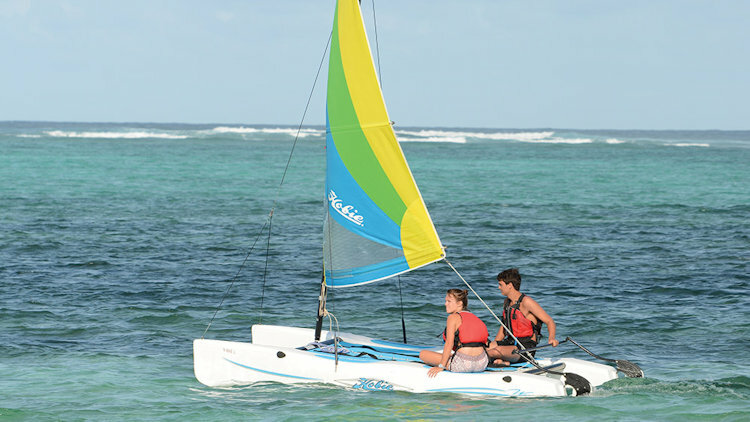 For those enticed by the warm shallows, snorkeling equipment, reef shoes, pedal boats and both solo and tandem kayaks are all on hand; while sailing, kite surfing and windsurfing are available for those who wish to venture beyond the coral ridge out to the open ocean. But for something more indulgent, the site’s opulent Frangipani Spa offers a range of treatments and specialised massages – the mood set by gentle Swahili-inspired incense and ornate tea lamps – while those looking to hone their yoga skills should procure the services of Baraza’s very own smiling yogi Sree, whose no-nonsense approach gives a round of Hatha yoga an effective and energising edge. Each night, once the orange sun dipped below the horizon, giving way to stunningly bright moonrise over the water, we would be called to one of the resort’s two main eateries. If we found ourselves amid the minimalist laid-back charms of Livingstone Terrace, named for the famed Scottish explorer who once called the island home, we were invited to pick from an array of succulent meat delicacies such as beef tenderloin with truffle-infused potato souffle or slow-cooked lamb, or something more marine in the form of prawns grilled to perfection. But across the grass at The Sultans Dining Room, things are a little different. Set within a space shimmering with palatial amounts of gold, this restaurant – the more formal of the two – is a culinary powerhouse, conjuring up dishes conjured from first-class local produce and presented with the aesthetic finesse of Parisian haute cuisine. The undoubted highlight here was a spectacularly tender rare yellowfin tuna steak, served with just a touch of garlic butter to let the natural richness of the fish shine, although a stonking paneer masala two nights later give it a run for its money. 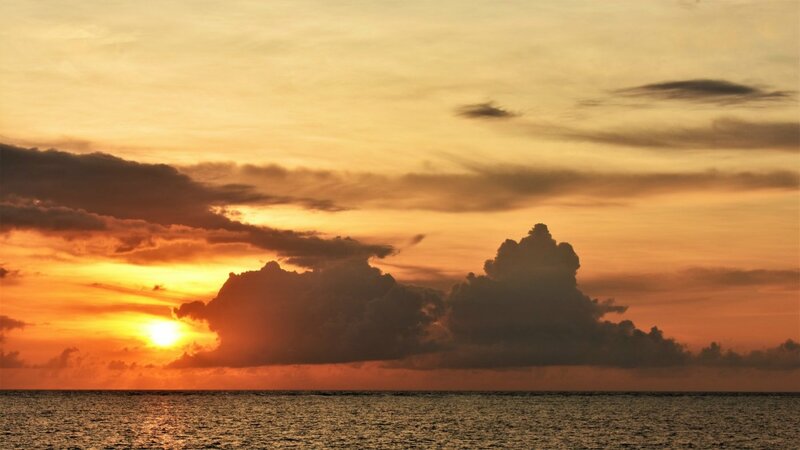 One morning, a fellow journalist and I set our alarms for 4:30am to take in one of Zanzibar’s famous sunrises, their clarity and intensity heightened by a seemingly endless ocean stretching to the horizon from the resort. And the sense of blissful isolation Baraza affords is not merely surface-level; if you were to pursue a perfectly straight line from the resort’s beach out into the ocean, the next dot of land in your path would be the northern tip of Java in Indonesia, just under 4,600 miles away. But despite the enticing thought of staying put in this dreamy spot all day, the time had come for us to venture beyond the walls of Baraza and out into the shifting mix of dense wilderness and urban bustle that, as we would later discover, makes Zanzibar a one-of-a-kind holiday destination. First up, the controlled chaos of Stone Town, the oldest district in the archipelago’s de facto capital and largest town, Zanzibar City. Having been ripped from the clasps of one foreign occupier into another over the centuries, this peculiar yet exquisitely ornate town has fleshed out an identity more attentively defined by its history than perhaps any other town on the continent. Above the maze of sidestreets, awash with Swahili food stalls and antique shops selling East African trinkets and fabrics, the skyline is dominated by Omani-era forts and punctuated by the occasional minaret atop one of the town’s extraordinary wealth of mosques. The influence of the British – and the Portuguese before them – can also be keenly felt, with grand cathedrals and colonial townhouses crowbarred in among the swirl of Arab-inspired arches and doorways that define the centre of the city. We strolled through narrow alleyways echoing with a mix of Arabic and Swahili, before taking in a sobering history lesson at the city’s Old Slave Market. Now a rather harrowing museum, the site details the full scope of the archipelago’s extensive and brutal relationship with slavery in the 19th century, when tens of thousands of Africans passed through Stone Town and into the Arab slave trade. 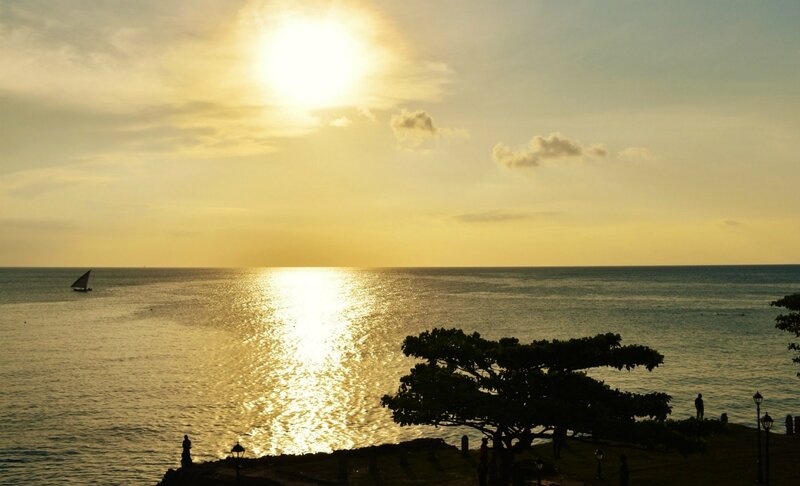 After briefly stopping off at the birthplace of Farrokh Bulsara – more commonly known as Freddie Mercury, Zanzibar’s most famous son – the day ended on a high at Africa House Hotel, whose rooftop bar offers a spectacular view of the sunset. One excursion had us ducking under Zanzibar Red Colobus Monkeys as they leapt across the treetops just feet above our head, while another involved a trek through exotic spice farms, plucking raw cloves and coffee beans off the bushes along the way. Before setting foot on this island, I had been overly-confident of cracking the puzzle of Zanzibar, sure I would soon be able to tell friends and family back home what this archipelago was all about. But by the time I was taking off from airport, I had come to realise that I was none the wiser about the nature of this beguiling and thoroughly beautiful island, distinguished by a fascinating history as much as its picture-perfect beach resorts. 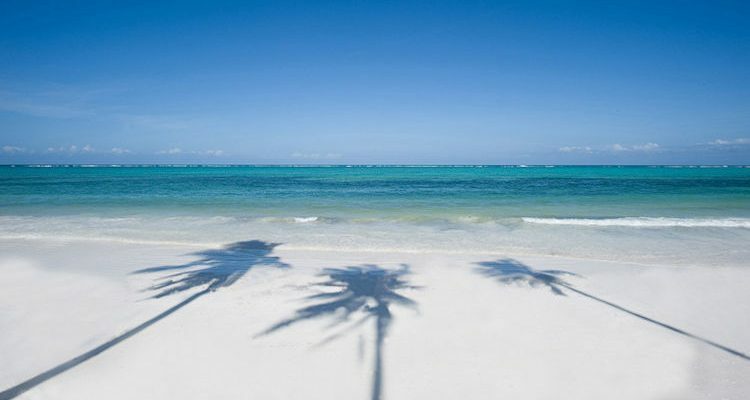 This is the kind of holiday destination that one can’t simply recommend but instead insist upon; as any holidaymakers to Zanzibar will tell you – you really have to be there. This article by Gabriel Power and all linked/embedded content appeared on the The Week website on 1st February 2019 and is available here. If you’re looking for a trip to Africa that has it all, then a getaway to Zanzibar should be at the top of your travel wish list. Zanzibar, an island off the eastern coast of Africa, is a relaxing getaway that allows you to be blissfully lazy and disconnected from life at home, while still being surrounded by a kaleidoscope of unique culture and history. From historic Stone Town, to palm-fringed beaches, top-of-the-line resorts, to traditional African tribes and villages, Zanzibar is a well-rounded trip worth your visit. Here are a few reasons why you should add it to your 2019 travel list. There are few locations in the world where you can truly unplug. Zanzibar is one of them. 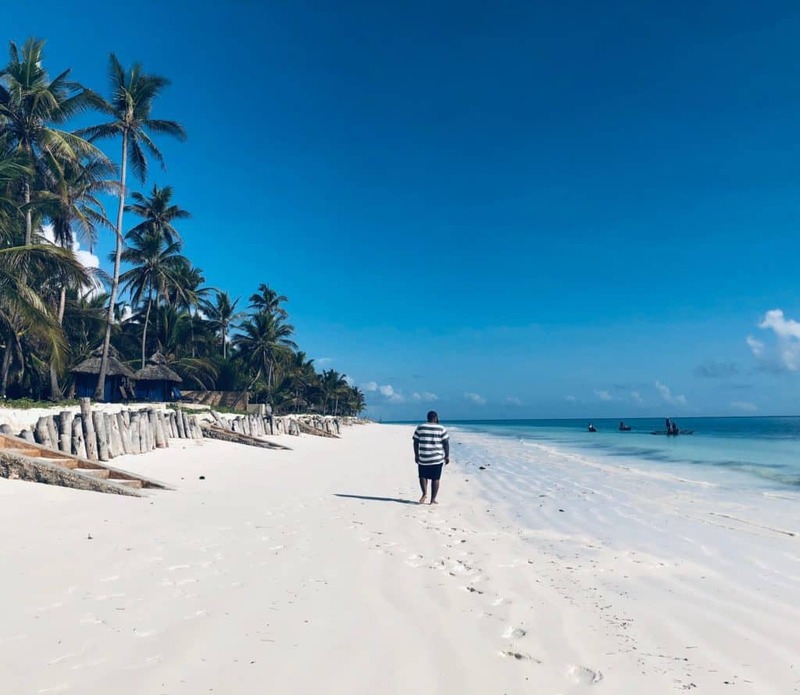 Whether starting the day with a stroll on the beach and realizing all the footsteps are your own, or just sitting still in any of the many secluded accommodations around the island, you can absolutely achieve the peace you’ve been seeking in Zanzibar. It is quintessential remote island vibes where you don’t anticipate connecting to wifi in every building you enter. And in this case, that’s a great thing. Be sure to check out Nungwi and Kwenda Beach. Zanzibar is full of accommodations that stimulate all of your senses, including the four luxury properties in The Zanzibar Collection. At Zawadi Hotel the azure Indian Ocean and white sand is the backdrop of the property grounds where the perfectly manicured gardens share the most lush greens and vibrant array of florals. Once you’re done getting lost in the beauty, retreat to one of the nine very private modern, clean and minimalist villas at the resort with your own private plunge pool to unwind in. The Palms Zanzibar allows for even more privacy with only six private villas that provide the most relaxed atmosphere with understated, rustic décor and the most attentive and warm staff that knows who you are but also fade to the background if that’s your preference. Each villa also comes with its own privately assigned bungalow on the beach. You can truly feel alone and one with the world here. From the architecture to traditional Taarab music to the clothing, Zanzibar is a harmonic blend of African culture and Arabic culture where neither takes precedent over the other. We visited the Bwejuu village and had the opportunity to learn first-hand about the trails, triumphs and everyday life in Zanzibar. It’s a simple life where everyone knows everyone so the sense of community really can’t get any tighter. Also a trip to Stone Town will teach you about the history of the island, visit the East African Slave Museum and also boasts colorful nightlife. The Maasai tribe is prominent in both Tanzania and Kenya. 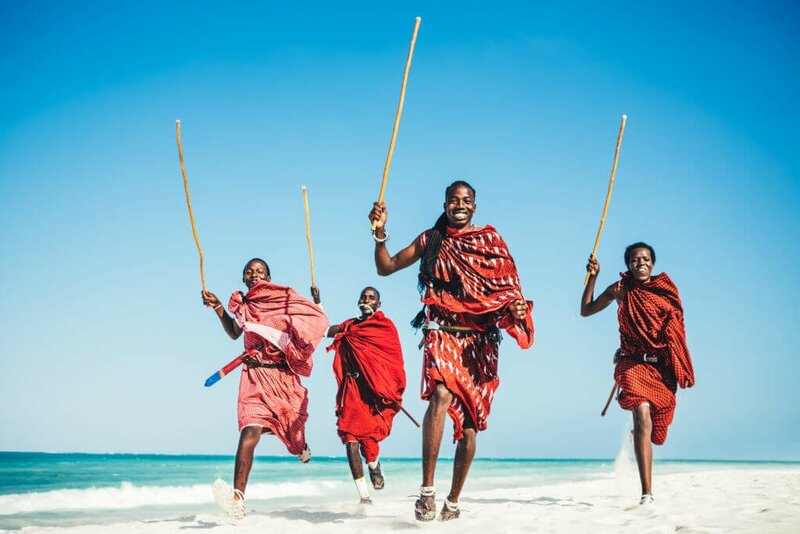 Around Zanzibar you’ll get to visit, and hopefully connect with, this traditional nomadic tribe and learn about their unique lifestyle and traditions. If you haven’t connected with them throughout your trip, you’ll be sure to learn a move or two from them at one of the popular “full moon parties” on the island. Whether it’s an eat, pray, love solo trip to center yourself, a baecation to indulge in love, or a fun trip with friends, Zanzibar, being so remote and tranquil, rich with culture, vibrant landscaping and seductive vibes will surely give you something to write home about. To keep up with Rondel Holder’s African travels, follow him at @KingRonTheDon for more! This article by Rondel Holder, and all linked/embedded content, appeared on the ESSENCE website on January 22nd, 2019, and is available here. Sansibar liegt gerade ab vom Festland der ostafrikanischen Nation Tansania und wurde Ende der 1980er Jahre zum Hotspot für Hochzeiten und Flitterwochen. Seitdem hat sich Sansibar zu einem der begehrtesten Standorte für Paare weltweit entwickelt – und wir können verstehen, warum! Mit seinen luxuriösen Stränden, der historischen Architektur und dem atemberaubenden Panoramablick auf das Meer wäre es schwierig, einen romantischeren, intimeren und opulenteren Ort zu finden, um Ihren besonderen Tag zu verbringen. Unter den vielen potenziellen Veranstaltungsorten gibt es jedoch ein Unternehmen auf Sansibar, das sich vom Rest abhebt. Die Zanzibar Collection ist eine der renommiertesten Hotelgruppen des Landes und bekannt für ihre palastartige Unterkunft und ihren 5*-Service. Mit vier verschiedenen Immobilien entlang der Küste Sansibars und vier luxuriösen Hochzeitspaketen (auch mit Gelübde-Erneuerung!) ist die Zanzibar Collection der perfekte Gastgeber für Ihren großen Tag. 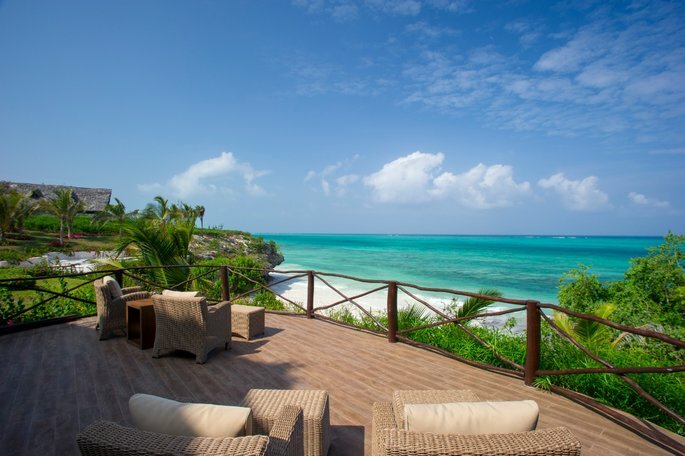 Als Nummer 1 unter den Luxushotels in Tansania und von TripAdvisor unter die Top 25 der besten Hotels der Welt eingestuft, kann jede der vier Immobilien der Zanzibar Collection als unverzichtbare Location für Ihre Destination Wedding dienen. Die vier verfügbaren Hotels sind ähnlich angenehm, aber jedes mit seinen eigenen einzigartigen Eigenschaften zum auswählen. Das Zawadi Hotel ist der richtige Ort, wenn Sie die spektakulärste Kulisse für Ihre Zeremonie suchen. Auf einer Klippe mit Blick nach außen zum Indischen Ozean gelegen, unterbricht keine einzige Palme den endlosen 360°-Blick, der sich zum Horizont hin erstreckt. Mit neun geräumigen und modernen Villen und einer Vielzahl von Aktivitäten, darunter Schnorcheln in den tropischen Gewässern Sansibars, ist das Zawadi Hotel ideal für Paare, die nicht nur heiraten, sondern auch ein Abenteuer erleben möchten. 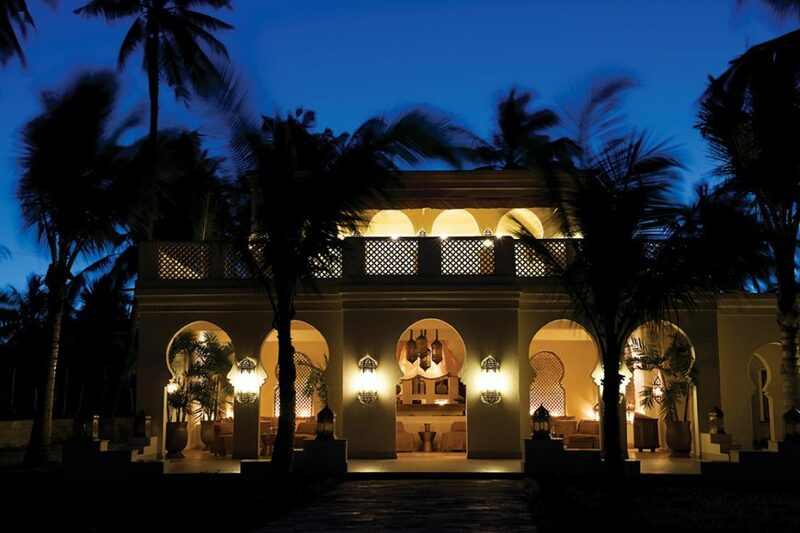 Das isolierteste und exklusivste Hotel innerhalb der Zanzibar Collection ist The Palms. Mit nur sechs verfügbaren Villen ist Abgeschiedenheit und Privatsphäre garantiert, die zu Romantik und Leidenschaft einladen und eine Atmosphäre der absoluten Ruhe pflegen. Für Paare, die dem Rest entfliehen wollen und deshalb einen Raum suchen, in dem nur die beiden die Magie ihrer Hochzeit zusammen genießen können, gibt es keinen besseren Ort. Das Baraza Resort & Spa hat eine sehr ausgeprägte Ästhetik unter denjenigen der Zanzibar Collection. Als Beispiel für den arabischen Charakter Sansibars – den Sie bei einem Besuch der Steinstadt in Sansibars Stadt hautnah erleben können – ist die Baraza durchdrungen von aufwendig gestalteten Dekorationsmerkmalen, schönen Messing-Laternen und -Ausstattungen und geschmückt mit den aufwendigsten Antiquitäten. Mit einer Sinnlichkeit, die perfekt zu einem Brautpaar passt, ist das Baraza das perfekte Ziel für eine romantischere und exotischere Hochzeit. Der Breezes Beach Club & Spa ist nicht nur die Heimat einiger der beeindruckendsten Villen, die wir bei Zankyou je gesehen haben, sondern auch des unschlagbaren Frangipani Spa. Mit luxuriösen Spa-Behandlungen – darunter die Apres Safari Behandlung, die zur Entspannung und Verjüngung entwickelt wurde – und einem fast palastartigen Erscheinungsbild ist The Breezes der ultimative Zufluchtsort für Bräute und Bräutigame, die ein Ende der monatelangen stressigen Hochzeitsplanung suchen. Sicherlich wird die Brise dich so gelassen fühlen lassen, dass du nie wieder gehen willst. Bevor Sie sich für Ihre Hochzeit mit der Zanzibar Collection entscheiden, müssen Sie und Ihr Partner sich einem bewusst sein – die hier angebotenen Dienstleistungen sind symbolisch, ohne rechtliche Anerkennung. Sehen Sie dies jedoch als Vorteil – Sie können eine intime private Zeremonie in Deutschland nur zu zweit durchführen, um es offiziell zu machen, und dann eine malerische Hochzeit mit Ihrer Familie und Freunden auf dieser unvergesslichen Insel genießen. Allein die Aussicht würde sich lohnen, aber die Hochzeitspakete der Zanzibar Collection machen sie nur noch attraktiver. Die Hotels Zawadi, Baraza und Palms bieten das gleiche Hochzeitspaket zu einem sehr günstigen Preis von 2950 € an, wobei folgende Leistungen enthalten sind: ein Trauredner, ein Empfang am Strand mit Canapés und Sekt, ein privates Galadinner, eine hausgemachte Hochzeitstorte und Fotografie (dies jedoch gegen Aufpreis). Darüber hinaus gibt es eine Vielzahl von Zusatzoptionen, darunter Frühstück im Bett am nächsten Morgen, kostenlose Massagen und vieles mehr! Die gleichen Funktionen sind mit den Breezes verfügbar, jedoch zu einem reduzierten Preis von 2.300 €. Man kann jedoch mit einiger Sicherheit sagen, dass diese Erfahrung absolut unbezahlbar ist. Alles, was Sie sich vorstellen müssen, sind die Fotos von Ihnen und Ihrem Partner, mit dem wunderschönen Indischen Ozean im Hintergrund, umgeben von duftendem Blumenschmuck und Ihren Lieben, geschweige denn das Gefühl, dort selbst zu heiraten….. Daran besteht kein Zweifel. Die Zanzibar Collection ist die Wahre. Neben der Möglichkeit, an einem der elegantesten und stilvollsten Orte Tansanias zu heiraten, bietet die Zanzibar Collection auch eine Reihe von Unterhaltungsmöglichkeiten, was sie zum perfekten Ort für Ihre Flitterwochen macht. Eine der am meisten empfohlenen Optionen sind die beeindruckenden Tauchreisen, die exklusiv von der Collection angeboten werden. Diese Ausflüge finden an der berührten Süd-Ost-Ecke der Hauptinsel Sansibar statt, so dass Sie die riesigen Ozeane abseits von Touristen und überfüllten Stränden erkunden können. Und wenn Sie auf der Suche nach einem einzigartigen Flitterwochenerlebnis sind, ist der Besuch des Jozani-Waldes – der sich auf dem Weg vom Flughafen zum Hotel befindet- ein absolutes Muss. Dies ist der einzige Ort auf der Welt, an dem Sie, neben der wilden Flora und Fauna, die Deutschland unbekannt ist, einen Blick auf den einheimischen Red Colobus Affen werfen können. Sansibar ist eine ganz neue Welt, und mit der Zanzibar Collection können Sie das Herzstück dieser Welt erkunden und erleben. Eine der sichersten und schönsten Provinzen des afrikanischen Kontinents, ist Sansibar als Ziel für Ihre Hochzeit im Ausland kaum zu übertreffen, und mit der Zanzibar Collection als Veranstaltungsort werden Sie garantiert Erinnerungen haben, auf die Sie noch viele Jahre mit Freude zurückblicken können. Eine Fülle neuer Erfahrungen liegt vor Ihrer Haustür, und Sie werden jede Minute unter der glückseligen afrikanischen Sonne lieben – zögern Sie nicht und wählen Sie jetzt die Zanzibar Collection für Ihre Hochzeit! This article by Jo Foley and all linked/embedded content appeared on the House of Coco website on 4th January 2019 and is available here. The end of the holiday season is a time for pondering the year that was, making plans for the future, and implementing changes towards a better you. After the champagne has run dry and the tree is taken down, it’s time to focus on finding the balance, calm, and happiness that you’ll need to start the year right. Whether an improved health and well-being routine is on your list of New Year ’s resolutions, or perhaps you just want a holiday from your holiday, these luxury wellness spas will ease you into 20 19 and give you the sense of serenity you deserve . 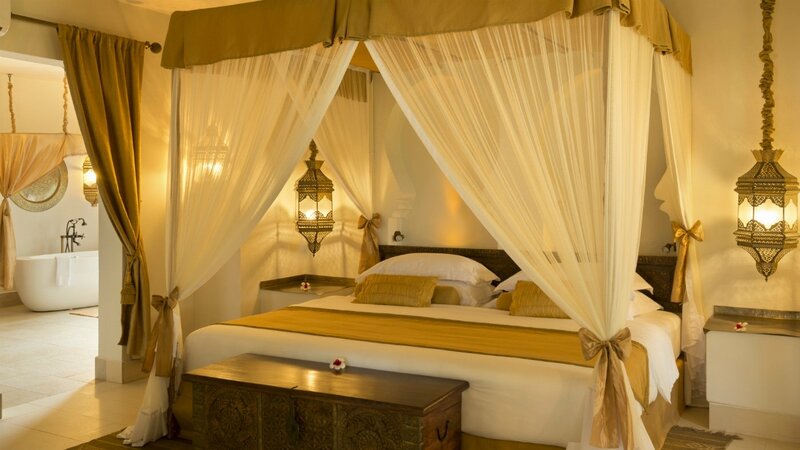 Situated on the eastern coast of Zanzibar, Baraza Resort and Spa provides a tranquil refuge away from busy city life . Each of its 30 villas has a private plunge pool with the entire resort decorated to evoke a bygone era fit for the sultans. Holding the privilege of being the only hotel in Africa amongst the Top 25 Luxury Hotels in the World, this island paradise provides rejuvenation for both mind and body. Baraza Resort and Spa offers their very own yoga retreat where guests have the opportunity to learn and practice Hatha yoga with twice-a-day sessions at the Frangipani Spa or on the beach overlooking the Indian Ocean. 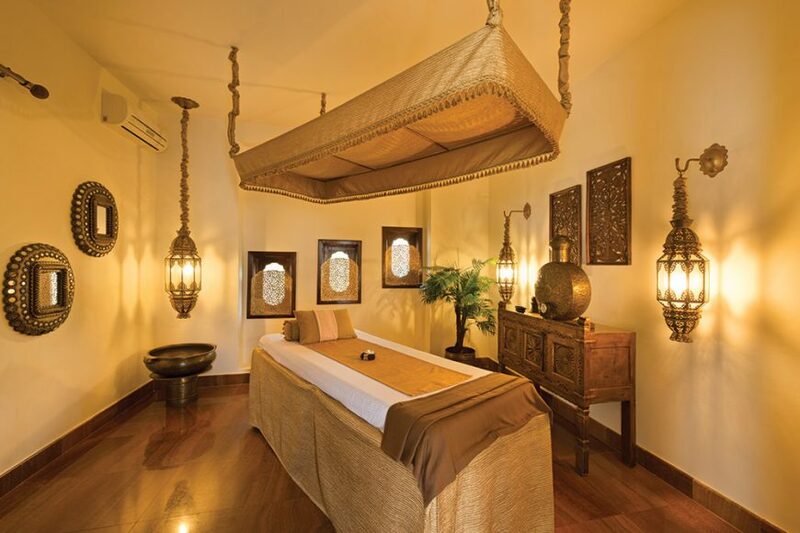 The Frangipani Spa offers a range of specialist massages and treatments and has its own yoga centre and relaxation room where Swahili-spiced teas are offered before and after every session. Adventure-seekers are also able to take part in the numerous activities on offer, such as snorkeling safaris, scuba diving trips, or Swahili cooking lessons using medicinal herbs and spices. For travellers looking for a sun-drenched hideaway, look no further than Elounda SA Hotels & Resorts in Crete. 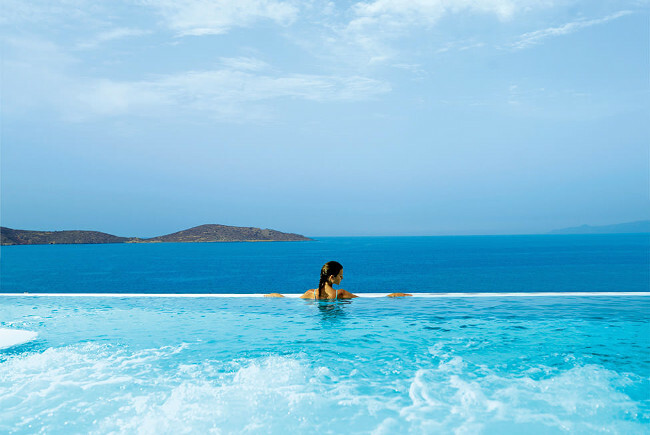 The brand includes the Six Senses Spa, the Elounda Mare hotel (the only Greek member of the Relais & Chateaux group), the Porto Elounda spa and golf resort, and an all-suite hotel with seafront private pools called Elounda Peninsula. Covering over 2,220 square metres, the Six Senses Spa offers treatments that perfectly combine luxury, relaxation, and state-of-the-art technology. Therapy treatments include the Sweet Honey and Yoghurt, which focuses on hydrating and rejuvenating the skin for improved elasticity and softness, the Aegean Breeze with salt and olive oil for removing dead skin cells, and the Wine Elixir Facial which takes advantage of the antioxidants found in red wine to reduce signs of ageing. For those who are looking for a more intense programme, their semi-medical offerings allow guests to meet with nutritionists and fitness experts who will give a full personal assessment before curating a bespoke programme that will target the mind, body, and soul. Located inside one of London’s top luxury destinations, the Hotel Café Royal, the Akasha Holistic Wellbeing Centre offers a relaxing urban retreat right in the city centre. “Akasha” is said to be the source of all creation, and when joined with the elements of earth, water, fire, and air, results in a holistic awakening of the spirit. The centre is home to 9 treatment rooms, a private Hammam, London’s first Watsu pool, a sauna, jacuzzi, cutting-edge gym technology, and a lounge bar with an assortment of healthy options. Cleanse your mind and body with a selection of treatments such as an Aromatherapy Associates body experience, a specialist hydrotherapy treatment, or a Detoxifying Green Tea Vichy Shower Ritual, among others. Additionally, they have a faculty of well-being specialists who provide a range of expertise from nutrition and weight management, to Reiki, meditation, and even crystal healing. Thalassotherapy refers to the use of seawater for improved health and wellness. The Vilalara Longevity Thalassa & Medical Spa is one of the leading experts in fusing Thalassotherapy with an overall luxury experience right in Portugal’s famed Algarve region. The idyllic location is complemented by 27-acre gardens, a secluded beach, five outdoor pools with fresh or sea water, four tennis courts, and two health-focused restaurants. The spa offers a relaxing wellness retreat, alongside detox and anti-inflammatory programmes; however it’s their 7-night Longevity Thalassa Weight Loss programme which is really remarkable. The programme is the perfect solution for those wanting to jump-start their fitness regime for the year with participants benefiting from expert participants benefiting from expert consultations, a bespoke fitness schedule, a dedicated detox meal plan, and access to a plethora of physical therapy and workout sessions. Named one of the best spas in the country, Rudding Park Spa in Harrogate sits in 300 acres of landscaped gardens and woodland and capitalises on the area’s sulphuric medicinal spring water. Its rooftop spa garden is the first of its kind in the UK, and guests are spoilt for choice with a hydrotherapy infinity pool , a panoramic sauna, herbal bath steam room, an ice fountain, and warming Evo lounge beds. 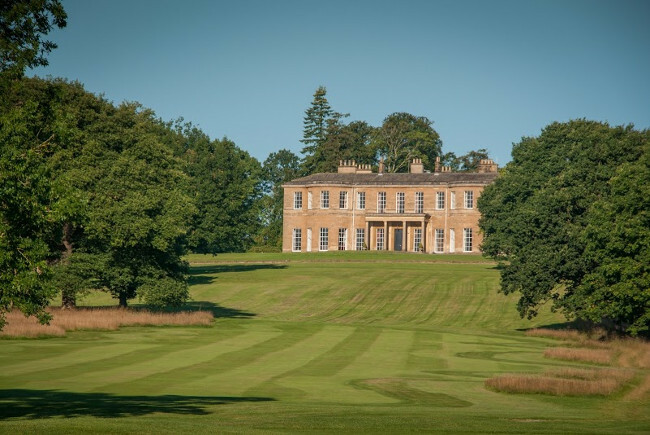 Treatments include their signature Rudding Park Jewel Ritual which starts with a Mother of Pearl and jasmine body scrub followed by a lathering of inner peace oil using ancient yogic techniques and finishes with a rose quartz healing face therapy and jade cream massage. If you want to try something off-the-beaten-path, the Mud Rasul Ritual is a must. 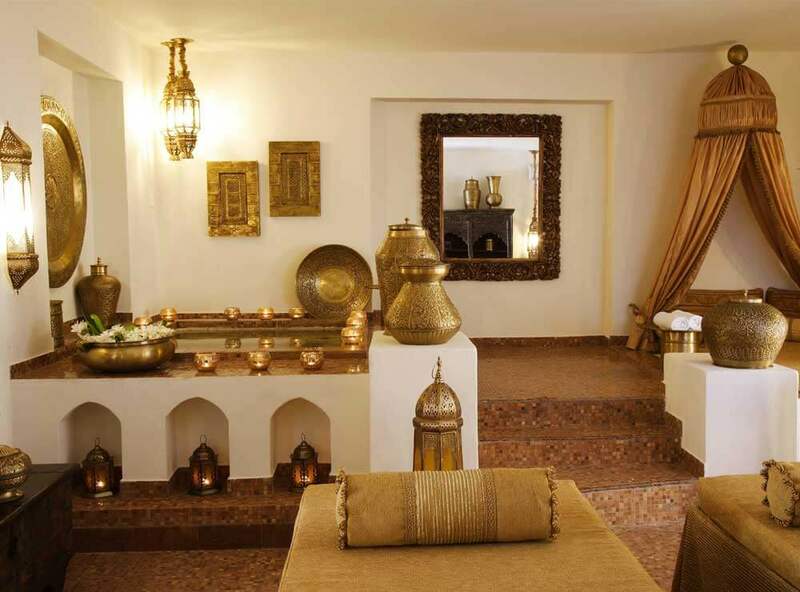 A traditional Moorish cleansing treatment, the ritual involves applying nutrient-rich mud onto the face and body, letting it dry, and washing all the impurities away with a gentle rain shower. This article by Ina Yulo and all linked/embedded content appeared online in the Luxury Lifestyle Magazine on 5th January 2019 and is available online here. The island of Zanzibar has had a spicy history. Out in the Indian ocean, off the coast of Tanzania, it has for centuries been a key trading post, attracting Arab traders, Portuguese sailors, Persian settlers, British colonists, Bantu people and more, all leaving their influences on everything from architecture to food. The fertile ‘spice island’, famous for it’s cloves, vanilla, ginger, turmeric, cardamom, black pepper and more, has previously been a Portuguese colony, a Sultanate of Oman and a British protectorate, before gaining independence in the mid-1960s. 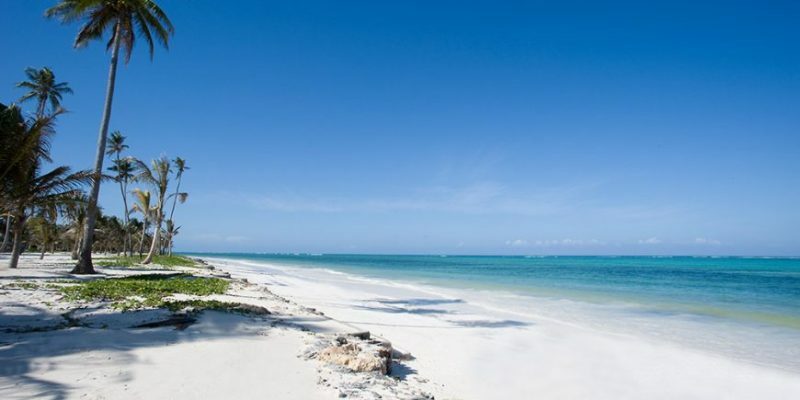 It’s the long stretches of white sand and warm waters of the Indian Ocean that bring people to Zanzibar more these days than trade, with resorts around the coast. 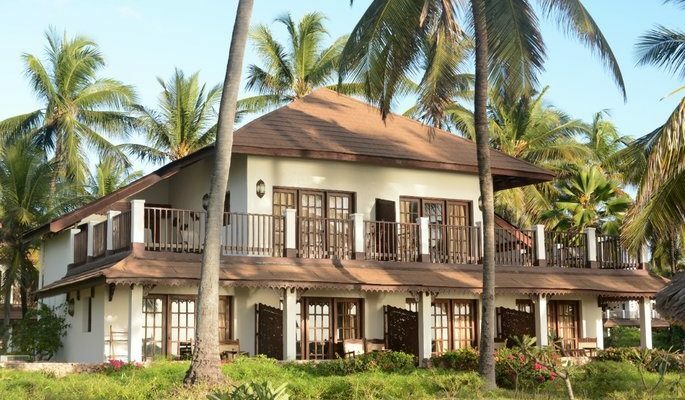 But the island’s history is reflected in the architecture and design of Baraza, a boutique resort of just 30 villas on Bwejuu beach on the island’s south-east coast. 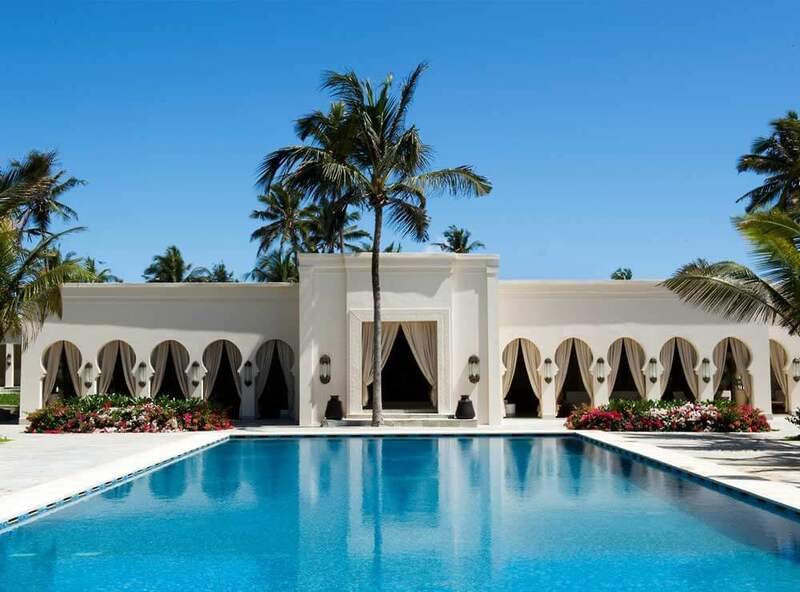 It’s one of the hotels in The Zanzibar Collection, a group with a variety of hotels across the island, including neighboring The Palms and, slightly further down the beach, Breezes, each with their own style. We reach Baraza, an hour and a half’s drive across the island from Zanzibar’s airport, pass through the front gate and drive down through a tunnel of palm trees into the peaceful, green grounds. 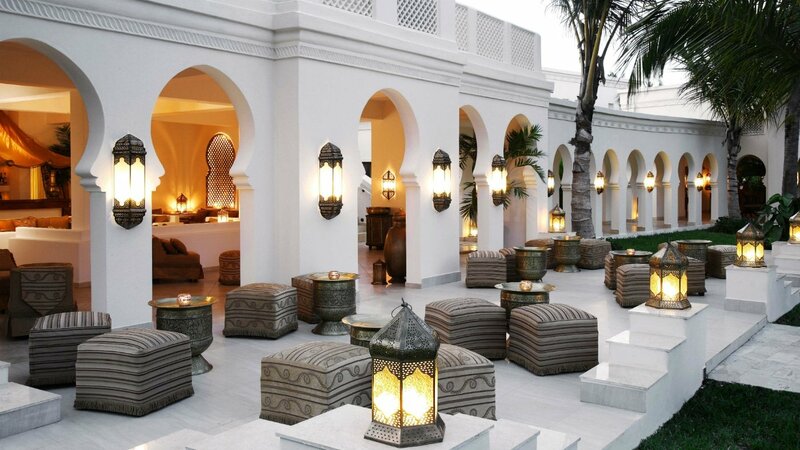 The buildings are striking and palatial, a mix of Arabic, Swahili and Indian design. The main reception, a light, mainly white construction, has a long corridor framed with neat, curving, symmetrical arches, with running fountains along the way, the floor a pale creamy mosaic. 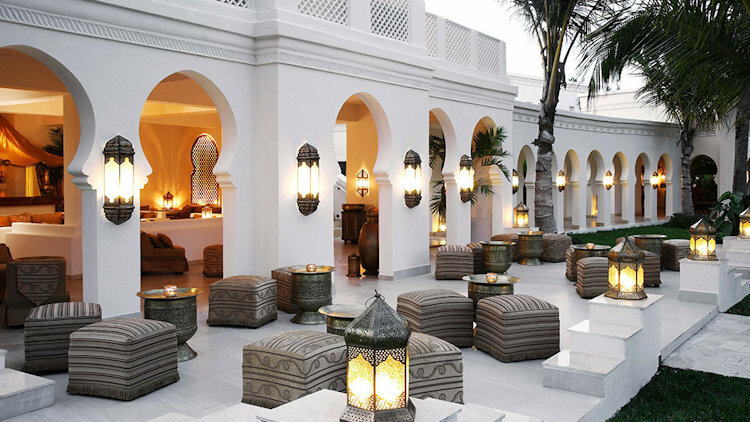 The design, we’re told, aims to represent a palace or home from 400 years ago, when Zanzibar would’ve been part of the Sultanate of Oman, as well as the various influences from international traders and settlers. Along the corridor there are big wooden trunks and carved cabinets, tall-standing teapots, ornate copper trays and lamps along the walls that remind me of the metalwork I’ve seen before in places like Morocco and India. Light yellow curtains match cushions on throne-like armchairs and comfy seating. Beyond the reception, there’s a large square of greenery, with more tall palms and bushes with bright pink bougainvillea and frangipani flowers, surrounded by the hotel’s restaurants and bars, and a long, brilliant, blue swimming pool, with plenty of loungers and a wall with comfy beds in shaded alcoves. Further still, loungers under the shelter of thatched umbrellas look out onto the beach, which is spectacular, with clear blue water, dark patches of coral, and soft white sand, like baking flour, stretching both ways along the coast as far as we can see. 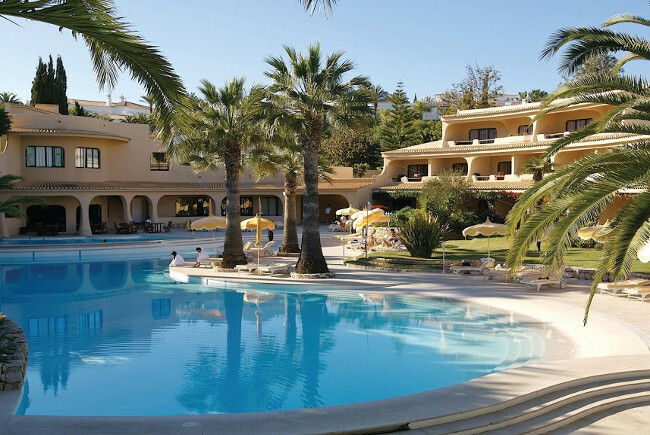 There’s plenty to do here, with a scuba diving center and snorkels at one side of the pool, and kayaks and SUP boards to borrow. But more than anything, this feels like a place to take it easy, to lie back, to read, to swim, all with plenty of breathing space. Villas are either close to the beach or ‘garden villas’, like ours, set back a short walk away from the front. 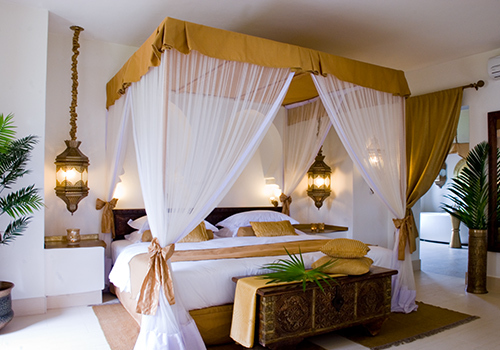 Inside, the step-back-in-time décor continues, with a regal-feeling mix of soft yellow, white and gold in the lounge area, where there’s a TV and DVD player, and in the bedroom, the rooms also containing a few of the elaborate, evocative metal lamps and decorative trays. There’s an alcove in one corner of the lounge, with ground-level cushions, for taking it easy. Outside, we have a private little garden, surrounded by tall hedges, and a private plunge pool in the corner. There are two bathrooms, both spacious, the largest of the two with a rainshower, a freestanding bathtub and twin sinks, next to a walk-in dressing area and baggage space. At night, we eat at the Sultan’s Dining Room, the hotel’s ‘fine dining’ restaurant, a live band playing reggaefied versions of popular songs. We eat little cubes of sesame-crusted tuna, and, for mains, baby lobster or lamb shank. The hotel has several restaurants, though, and next night we try the Livingstone Restaurant, where it’s ‘Swahili night’, representing the spicy local cuisine. Local musicians and dancers perform outside. There’s a grand buffet in one room, serving delicious creamy coconutty fish curries, potato croquettes, salads, soups, desserts and more, with a large BBQ grill outside with snapper, several varieties of lobster, beef fillets, pumpkin, broccoli and more, as well as a selection of spicy sauces. Baraza is not a place where you’ll go hungry. Breakfast is also at the Livingstone Restaurant and again we’re spoiled for choice, with pastries, breads, juices, yogurts, cheeses and cold meats. Fruit in Zanzibar is abundant, with fresh plates laid out here, from watermelon to pineapple. There’s also an omelette station for fresh egg dishes, including Aayan eggs (a scooped out avocado with a poached egg inside). Lunch is in the Ocean Restaurant, where chefs are on-hand to talk guests through what’s on offer and help serve, from a chilled salad cabinet to comfort food like pizza and breaded shrimp, along with a pasta station for freshly prepared pasta dishes with your choice of ingredients and a separate fish and meat counter, where often there’s a whole grilled giant fish on the counter. Afterwards, there are ice creams and sorbets, fruit, and intricate squares of desserts, from cheesecake to carrot cake, small enough to try more than one. Not that we’re particularly hungry, but we stop off for Afternoon Tea in the Ocean Lounge, where sandwiches and fresh biscuits are served. We stick to drinks and play a few games of pool, while the white curtains around the building billow gently on the breeze. The rest of the time, we take it easy by the ocean or pool, reading and occasionally taking a cooling dip. Before leaving, we make time for the Frangipani Spa, which is elegant and quiet, again with the feeling of stepping back in history. There are heavy wooden doors, elaborately carved, the style famous from Zanzibar’s Stone Town, where Queen’s Freddie Mercury previously lived. The corridors have copper-colored mosaic floors with yellow seating alongside, and there are more metal craftworks, bought from India, on the walls, on shelves and in little alcoves. There’s also a separate pool here for anyone who might find the main pool too busy (not that it was busy anytime that we swam there). There’s a parlor to relax in before and after treatments, a fragranced dimly lit room with orange and yellow lamps, more kettles and vases, sparkling mirrors, and golden-yellow sofas and four poster beds. My treatment is excellent. As soft flute music plays, a well-trained therapist who really knows what she’s doing worked knots in my shoulders and relieved aches in my back and feet, the room aromatic and calming. A powerful cup of ginger tea in the parlor afterwards completes the relaxing effect. Here, on the ‘spice island’, the ingredients probably didn’t travel far. This article by Graeme Green and all linked/embedded content appeared online in the Luxury Lifestyle Magazine on 1st January 2019 and is available here. 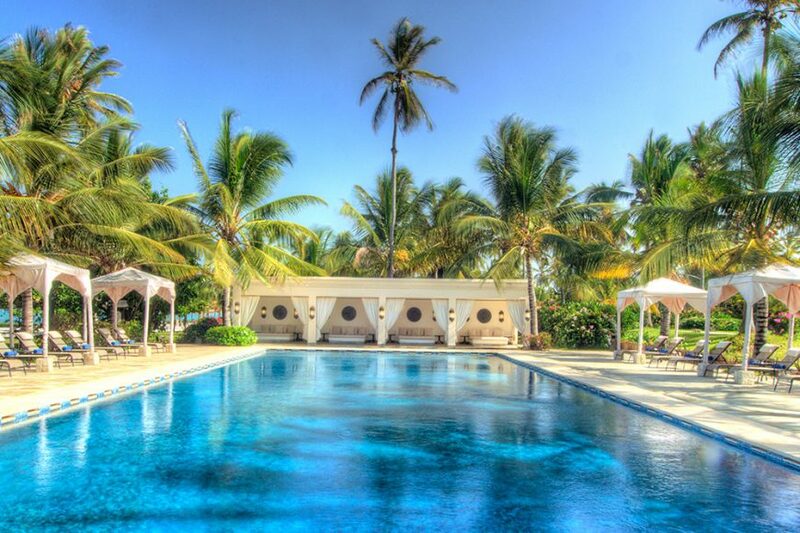 Baraza Resort and Spa, Zanzibar. Bwejuu Beach South East Coast Paje Michamvi Road Dongwe, Zanzibar 2284, Tanzania. Phone: +254 720 538148. Ocean Front Villas cost from $917 per villa per night on an all-inclusive basis. Garden View Villas cost from $736 per villa per night on an all-inclusive basis. Rates subject to change without notice. For a small island, or in truth a small group of islands, Zanzibar has always punched above its weight. Historically it was where traders, pirates, rogues and romantics met and merged between east and west, just off the coast of Africa, a few miles from Tanzania. It was an important stopping off point for spice and silk traders alongside those carrying diamonds, porcelain, philosophy and disease…and it’s from where Dr Livingstone headed off to Victoria Falls. It was also home to the largest slave market in the east while its capital, Stone Town, became the capital of the Sultanate of Oman. It is no longer of such importance or riches but it is amazingly beautiful – islands wrapped in the silkiest, whitest sands, bordered by a deep turquoise sea while its interior is lush and luxuriant and heavy with the scent of lilies, jasmine and frangipani, not to mention all those spices it is known for – cloves and cinnamon, nutmeg and cardamom. Which is why that now, instead of traders and rogues it draws hedonists and holidaymakers who are bewitched by its scenery, its resorts, its beaches and of course its spas. (Alongside a host of Freddie Mercury fans who flock to his birthplace in Stone Town). 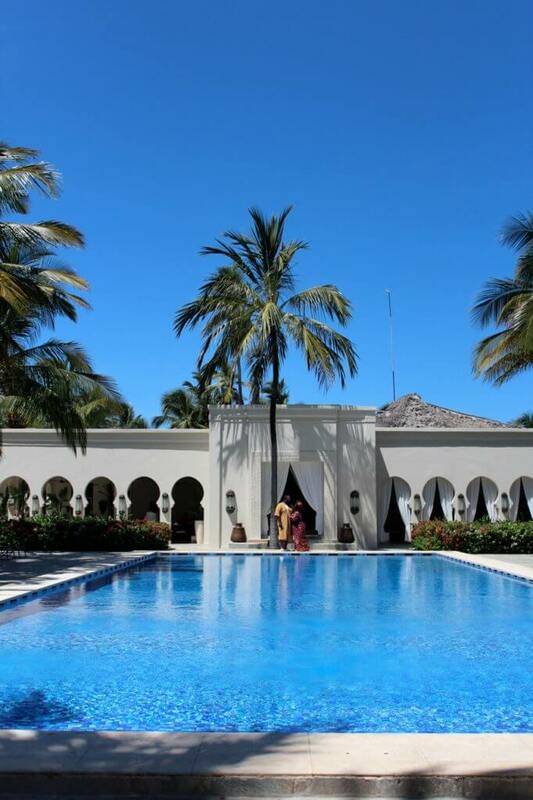 Head to the south east coast of Unguja, the largest island of the archipelago, and hide away in a villa at Baraza Resort and Spa. There are just 30 of them, scattered throughout the grounds and luxuriant tropical gardens which eventually open out onto the beach. Each villa is wide and spacious, with vast outdoor area with loungers, day beds and hammocks and complete with its own private plunge pool. 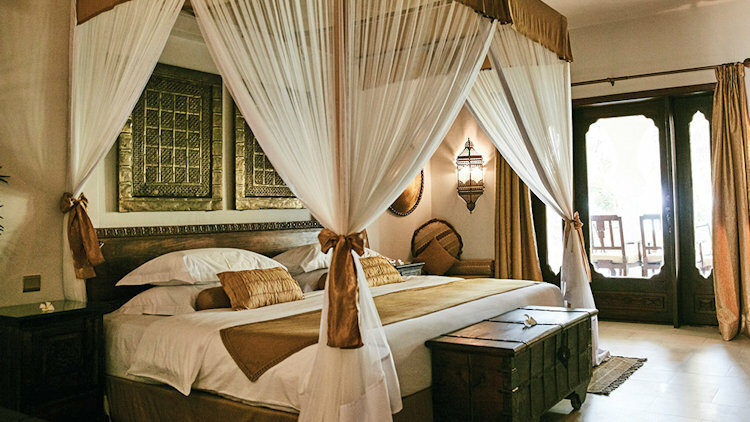 The resort is built along the lines of a Swahili village and each villa interior pays homage to local design and crafts with the materials used and the crafts employed in decoration, such as carved woods, intricately fashioned plaster and silken hangings. 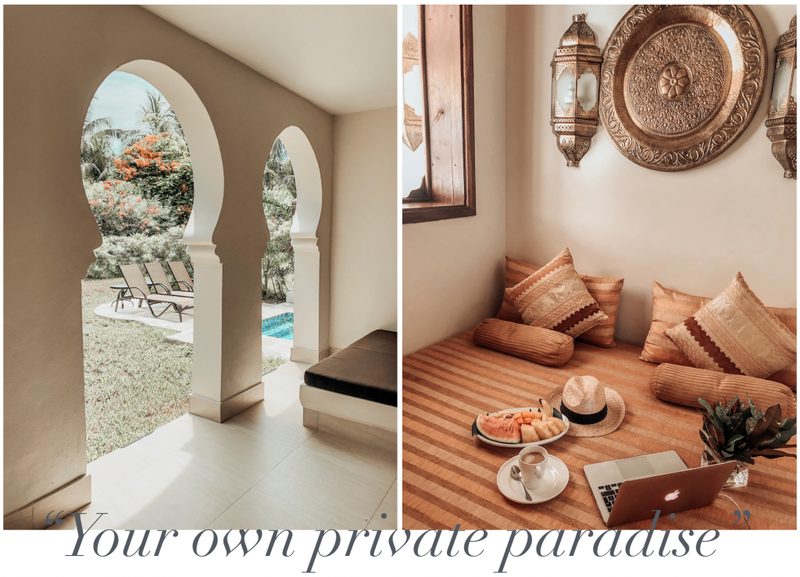 Make sure you have one that opens onto the beach and you may never wish to leave… except perhaps to hightail it to the Frangipani Spa, a mini-sultanate palace in the grounds. One can easily spend days here… beginning with an early morning yoga class, or just a gentle swim in the lap pool complete with underwater music, and when the sun is high in the heavens, this cool oasis is the ideal place to retire to. 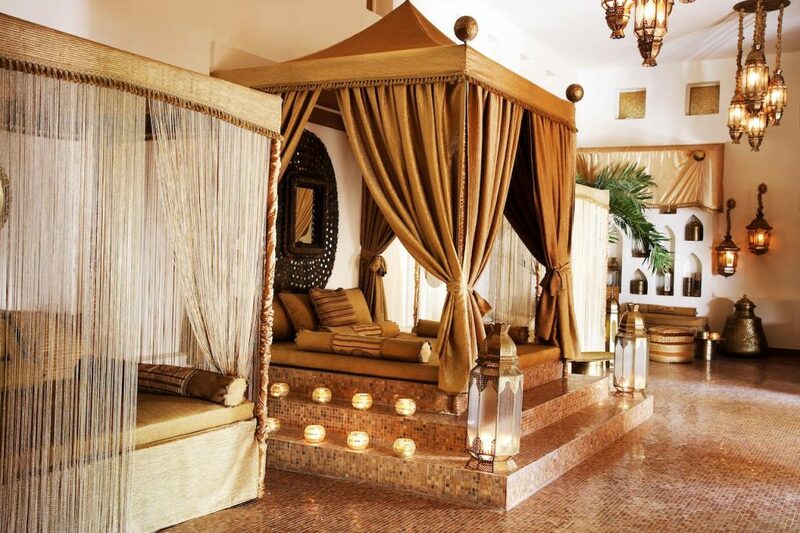 The relaxation room is the size of a small county and festooned with swaying curtains and cooling fans, vast cushions and day beds and the sweet scent of spiced oils. Little wonder that the spa was recently acknowledged as the best post safari spa in Africa (Zanzibar is frequently recommended as a post Serengeti safari destination). 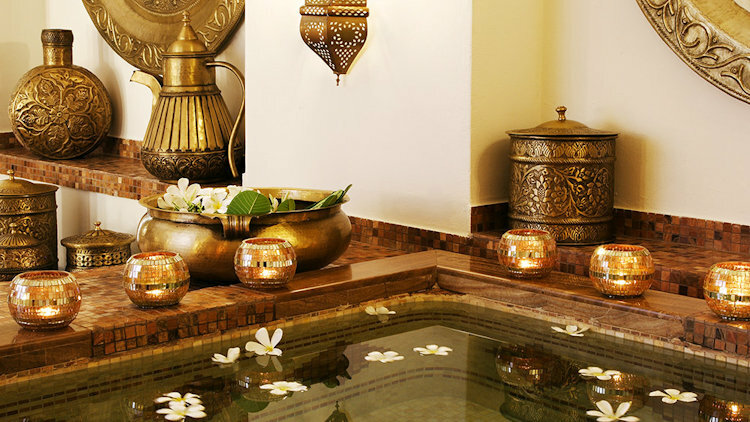 The treatments are a fusion of Thai, Balinese and Indian therapies but the most spoiling is the Sultan’s Bath, which begins in a warm mosaic tiled pool, followed by a body scrub, a soul to sole massage including head, neck and shoulders. This you can indulge on your own or with your nearest and dearest (it’s a couples massage speciality), but there is also a host of facials and beauty treatments to choose from, for both men and women. Best of all there is a hair salon, where apart from the near vital blow dry, you can have some truly nourishing hair and scalp treatments… great after the dry heat of the bush or repairing the damage sun, sea and salt water can do to your crowning glory. 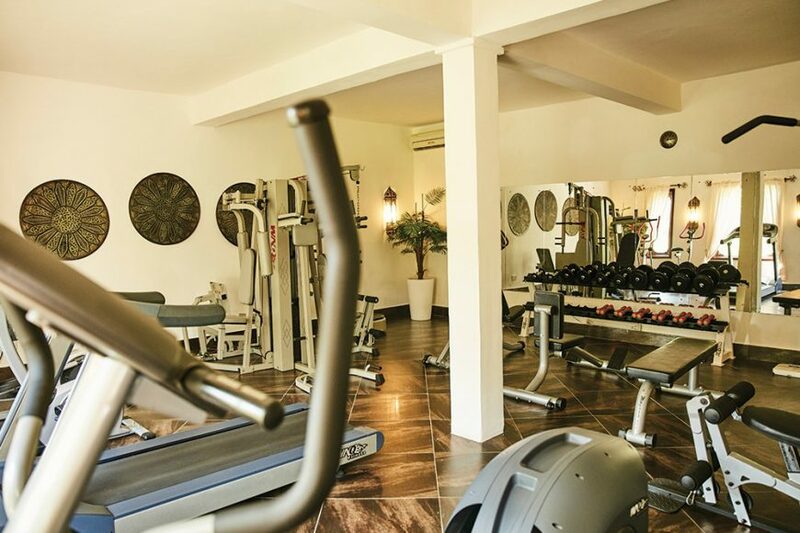 If you feel the need of any exercise there is a fully equipped gym on hand… however the sea awaits and the resort has the full complement of water sports from kite surfing to scuba diving. The latter is superb and the resort has the only affiliated National Geographic diving centre in East Africa. But when all you really want to do is laze and lounge, the pampering in the Frangipani Spa, swaying in the hammock on your own piece of private paradise or simply floating in the ridiculously warm waters of the Indian Ocean is more than enough. 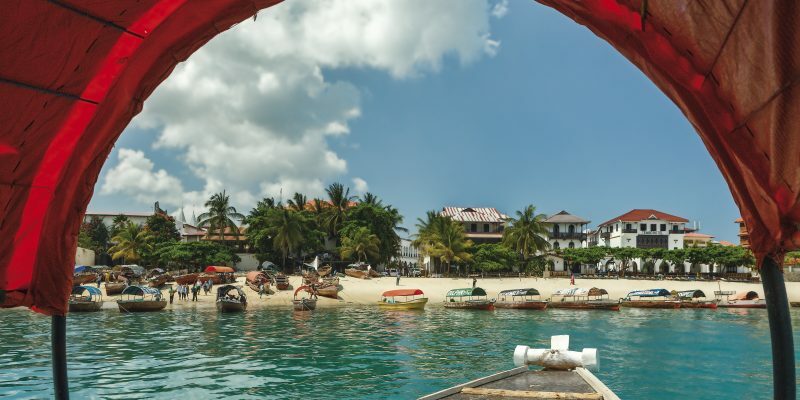 NB – Should you ever feel the need to move, then a visit to a spice farm or a local village is not too taxing, or better still to the island’s capital, Stone Town, is unforgettable. Or you could just stroll a little along the beach and through the gardens to the resort’s sister property, Breezes Beach Club, for a change of scenery, a delicious barbecue lunch followed by a treatment and its own charming Frangipani Spa. 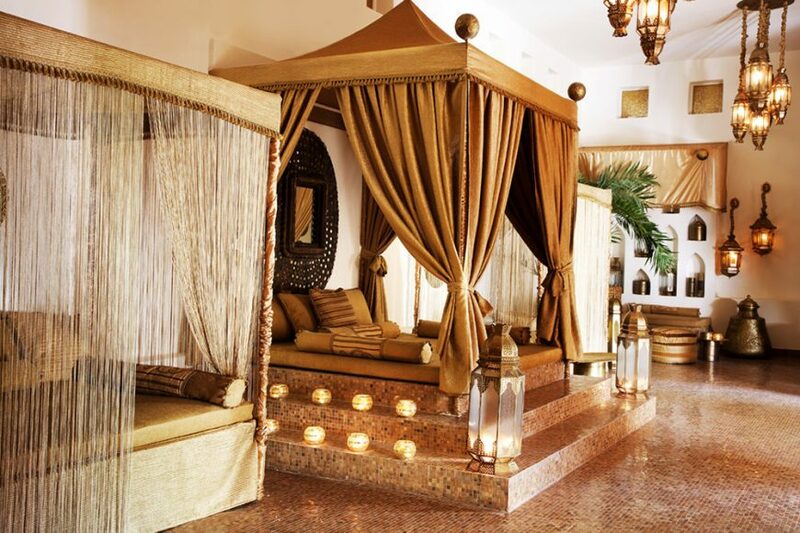 This article by Jo Foley and all linked/embedded content appeared online in the The Luxury Spa Edit and is available online here. 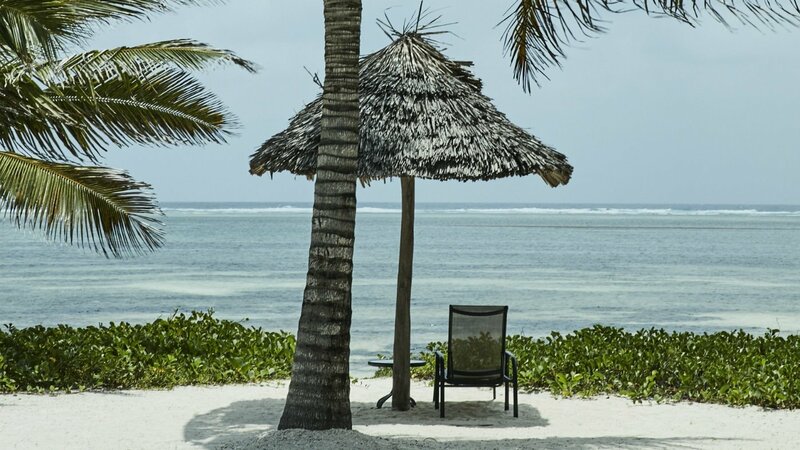 Located on the beautiful stretch of the Bwejuu – Paje beach in the South east coast of the island, named one of the world top 30 islands, Baraza Resort & Spa is like your own private little slice of paradise. There are only 30 palatial villas, each one with its own private plunge pool and an indulgent amount of space for guests to really immerse themselves in the sheer grandeur of it all. 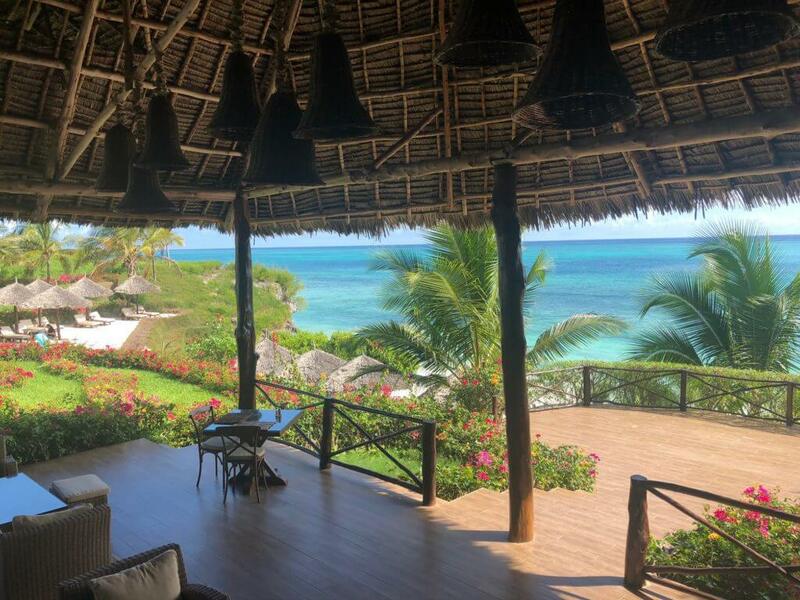 Team Coco got the chance to escape the chilly London winter and find some sun (and our zen) with the Baraza Resort & Spa. We tried their Yoga retreat package, a 6 day retreat that combines a wonderfully inclusive series of Hatha yoga sessions and some truly rejuvenating massage treatments at the world-renowned Frangipani spa. There is no better to find your center than at the Baraza Resort & Spa. So if you’re feeling the need to renew your sense of calm in one of the world’s most beautiful luxury resorts — then here’s how. Wake up to a light tropical breeze in your own palatial villa, and casually stroll along the resort’s many stunning courtyards, and eventually finding a spot by the beach, where you are serenaded by the gentle crashing of the waves of the Indian Ocean. Here’s where our morning practice begins. Our yogi, the truly charming Sree greets you with a big smile on his face, and prepares the setup for this morning’s Hatha Yoga Practice. Get ready for some OHM. Make your way back to the Livingstone Terrace restaurant for a lovely buffet-style breakfast. 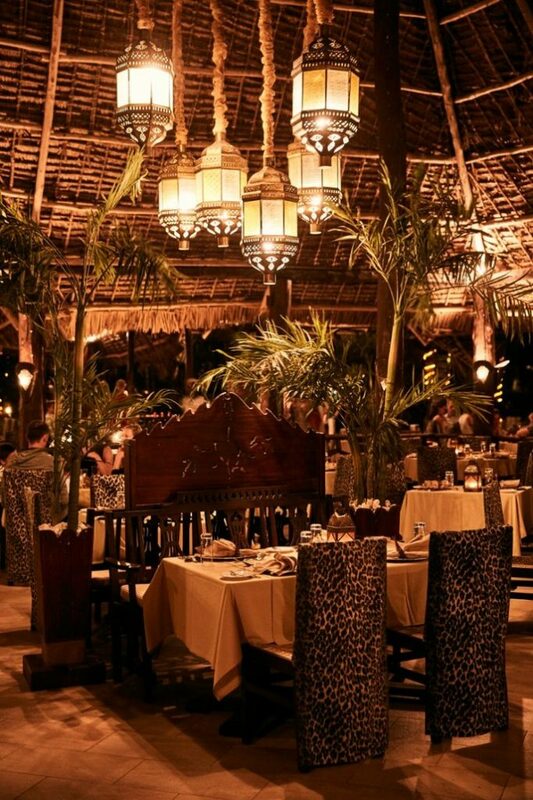 Everything here is locally sourced, and is a mixture of Swahili and international cuisine. Do try the dried coconuts dipped in honey, and partake in some bespoke smoothies — or maybe even a watermelon juice. 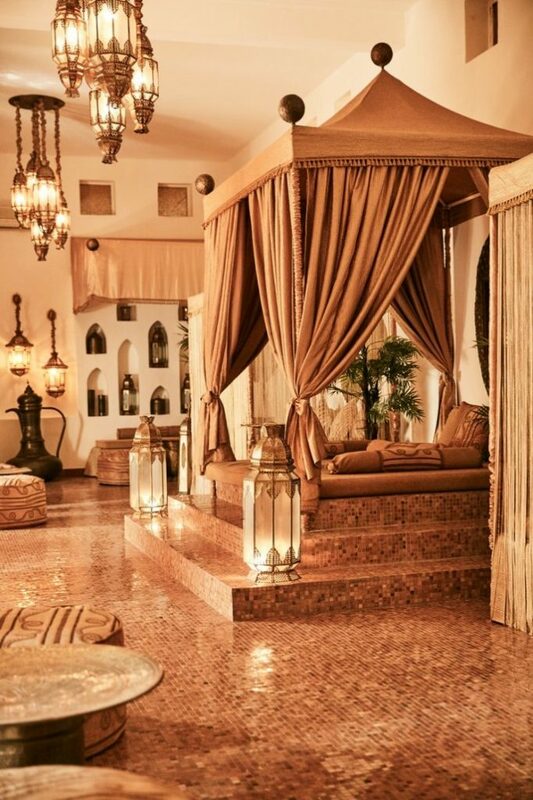 Head over to the world-renowned Frangipani spa, where your lovely therapist will lead you through yet another palatial courtyard and into, what I consider to be the world’s most beautiful relaxation room. The Frangipani spa’s therapists are all impeccable, and you can literally feel all of your worries will melt away. 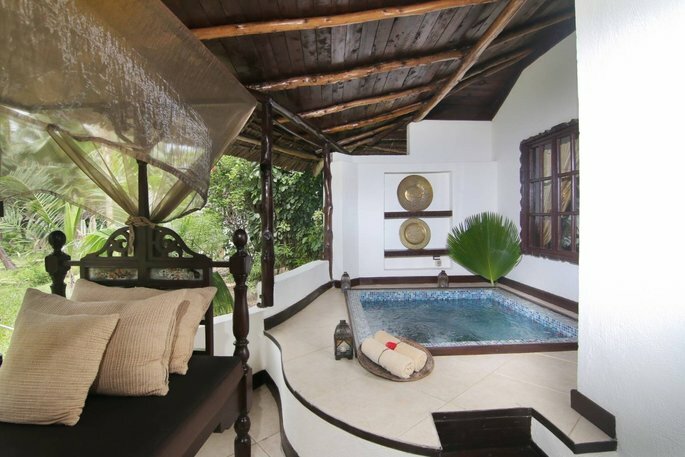 Catch some sun and take a dip in your own private plunge pool. After all, you need to make the most of your stunning private villa. So reading your favourite magazine (House of Coco obviously) and playing some tunes is definitely recommended. Catch a private Swahili cooking lesson with some of Baraza Resort & Spa’s top chefs. We learned how to cook Chicken Dhansak, following the recipe of one of Zanzibar’s most iconic personalities, Farouk Bulsara, aka Freddy Mercury. Finish off the afternoon, with a cup (or five) of Masala Tea. This unique spiced tea was a definite favourite during our visit, and is also a very calming concoction. Treat yourself to a glass of Dawa at the Dhababu Bar & Lounge, a local cocktail that mixes gin, cognac, lemon, and honey. 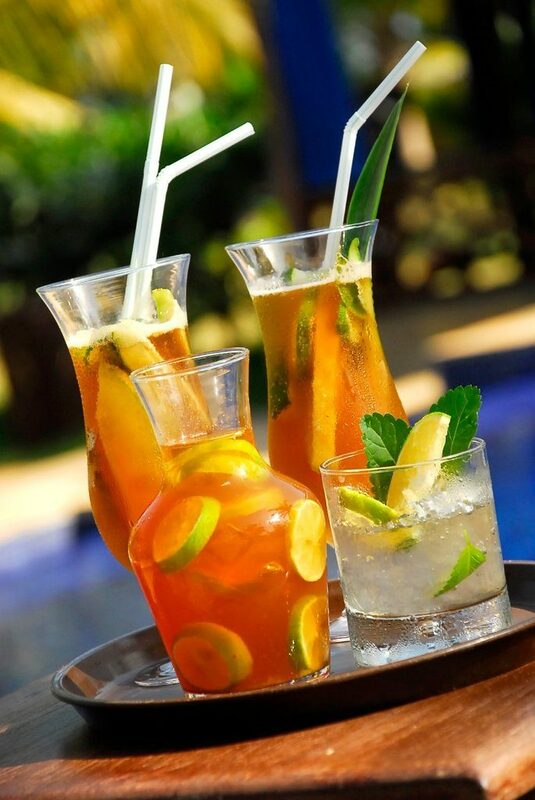 The locals call it ‘medicine’ and it surely hits the spot after a serious day of relaxation at the Baraza Resort & Spa. 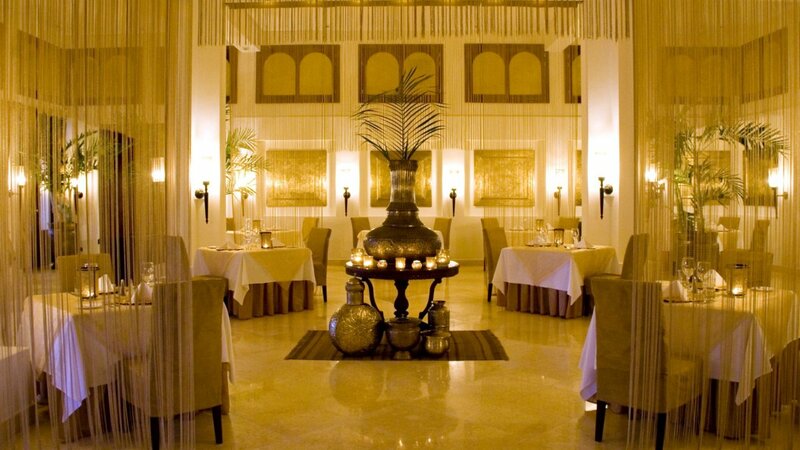 Head over to the Sultan’s Dining Room for a fabulous meal. Here you can enjoy a menu that showcases the best of the island while being serenaded by the music of the Taarab band. 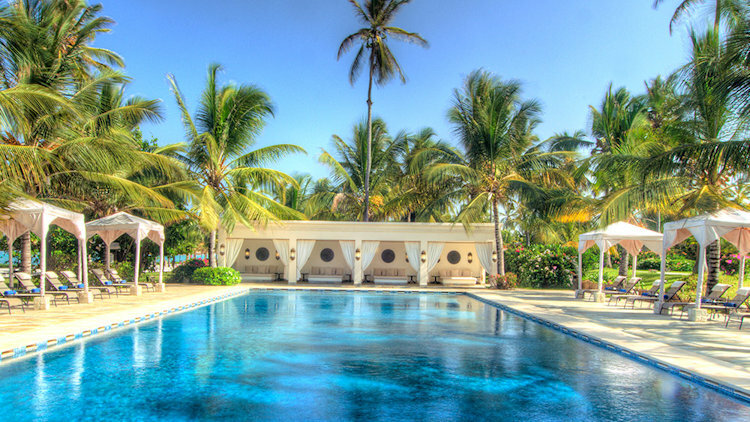 From relaxing Pranayamas to Yoga Shala meditations, you will definitely leave Zanzibar with a whole new level of calm. One that can only be achieved amidst the breathtaking natural scenery of the Baraza Resort & Spa. This article and all linked/embedded content appeared on the House of Coco website on 14th December, 2018 and is available here. Zanzibar conjures images of exotic spices, romance and paradise and a trip there is an experience that many will cherish forever. Jane Slade explains just why the ‘Spice Island’ stays in the hearts of visitors long after they’ve left its golden sands. A morning snorkelling in the warm waters off the eastern coast of Zanzibar is a pretty special experience. The coral reef is so shallow and rich in sealife that in parts you can stand and watch zebra fish, angel fish, clown fish and pipe fish dart around your ankles. The far-away island, six degrees south of the equator off the coast of Tanzania, is balmy and beautiful but with a dark, troubled history. Just 60 miles long and 25 miles wide the coast is laced with white sandy beaches and a lush tropical hinterland, an ideal setting for Shakespeare’s Twelfth Night where a shipwrecked Viola is swept onto the shores of Illyria. 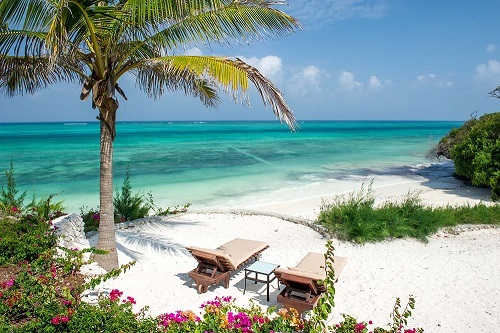 The place to stay is at one of the four boutique hotels in the award-winning family-owned Zanzibar Collection. 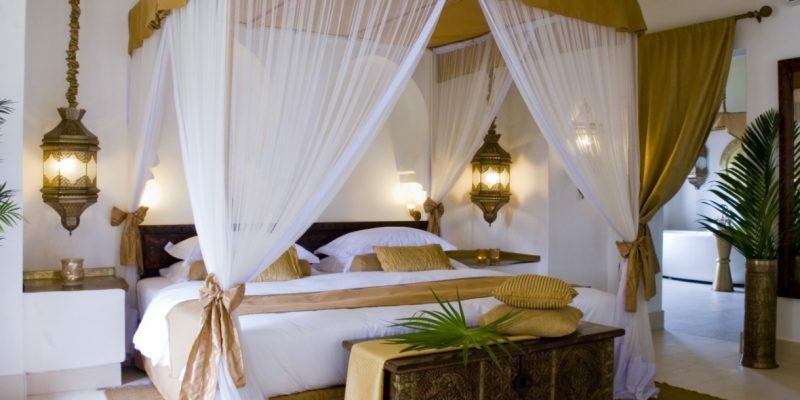 Resembling a Moroccan palace, the five-star Baraza Beach Resort is the group’s ‘all-inclusive’ jewel in the crown with 30 capacious villa suites decorated with beautiful brass lanterns, billowing muslin curtains, carved wood furniture and private plunge pools. Book a villa with an ocean view and you stroll from your bedroom to the beach. A long stretch of talcum-soft white sand fringes the gardens where you can stroll among the lofty coconut palms and shocking pink bougainvillea. There is a large outdoor pool and three gourmet-style restaurants (one for breakfast, lunch and dinner). 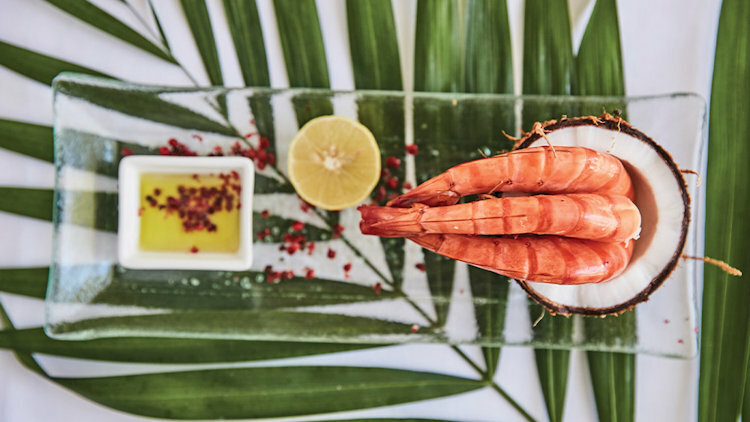 Expect plenty of delicious fresh fish and seafood dishes including tiger prawns and baby lobster as well as beef filet served in coconut milk, with Cajun spices and vegetarian dishes. There’s a fine wine and cocktails list too. Relaxation and wellness are bywords at Baraza. There are two daily yoga classes given by a fabulous young teacher from Kerala and a huge spa with endless treatment rooms and a menu of invigorating massages, facials, manicures and pedicures. The other hotels in the group include Breezes which is built in an older traditional style using dark woods and with open communal areas making it ideal for a family holiday and Palms, an adults-only resort, evoking a1920s colonial era, comprising just six villas. Ideal for a special celebration you can hire all the Palms villas and enjoy exclusive use of the resort from €4,050 per night including all meals and drinks for 12 people – minimum five-night stay. Zawadi is also an adults-only resort. There are nine vaulted thatch one-bedroom suites/villas, each with a private pool and views of the ocean. Designed in the style of a contemporary island paradise there are also 55 staff waiting to cater to your every whim. 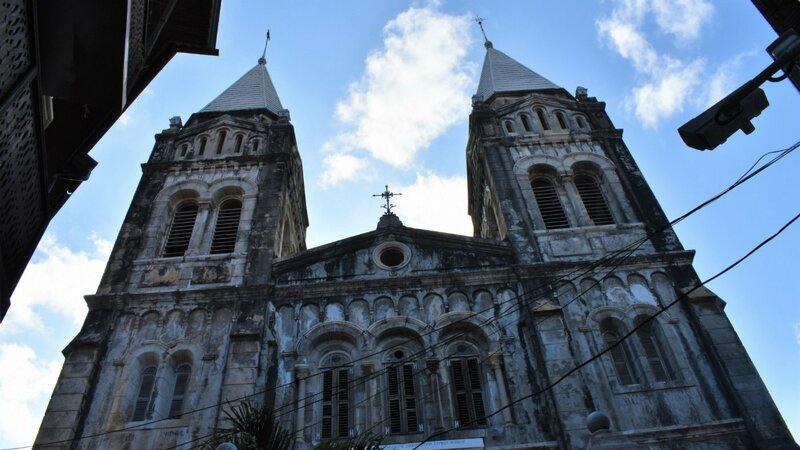 Zanzibar’s capital Stone Town will disappoint architectural and shopping enthusiasts but linger a while and you will unlock a rich history and a faded charm. The House of Wonders, built by Sultan Barghash in 1883, used to be the island’s main attraction commanding a prime site on the seafront. It was the first building on the island to have electricity and a working lift but is now closed for renovation after years of neglect. The Sultan’s Palace, another sad relic, is also under renovation. 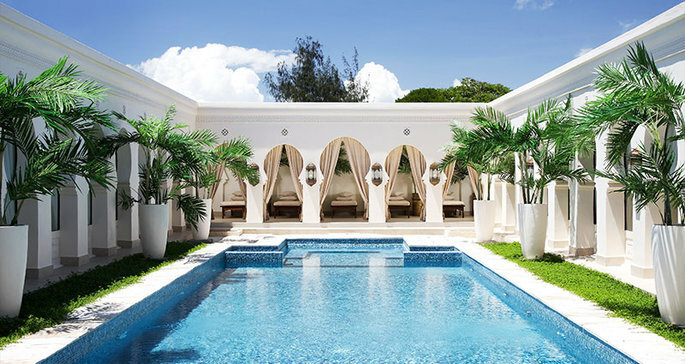 There are however some handsome colonial-style hotels worth visiting such as The Emerson Spice Hotel where you can enjoy a cocktail, and old homes whose front doors have chains carved into the wooden surrounds denoting they used to belong to wealthy slave traders. Zanzibar was a slave trading post from 1800 to 1909 when it was ruled by the Sultans of Oman. 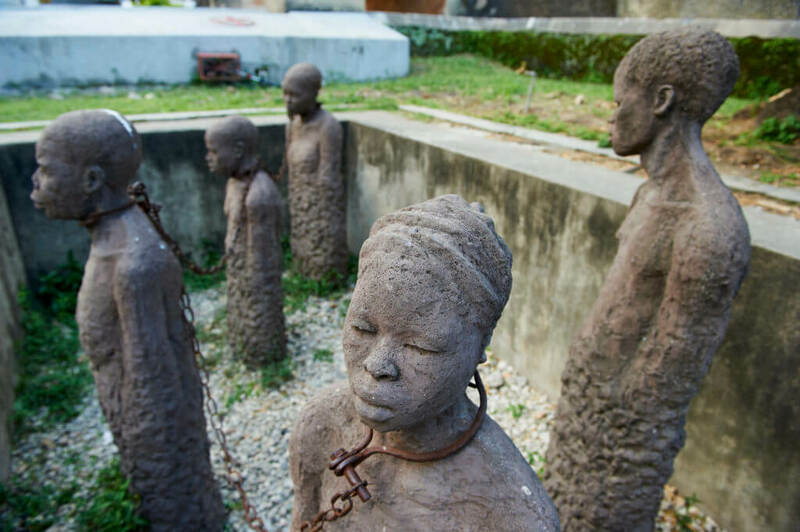 A visit to the East African Slave Trade Exhibit unveils the moving and harrowing history of this period told through photographs and an art installation of chained sculptures in the grounds. Slaves from Africa were shipped to Zanzibar to be sold on to the Arabian market. A poignant reminder is the nearby Church of Christ cathedral which stands on the site of the former slave market. A half hour drive from the city is the Jozani Forest – the island’s only national park and home to the red colobus monkey which is native to Zanzibar. There is also a spice farm, although it is surprising to learn that spices were brought in from foreign lands; nutmeg from Madagascar; cardamom, tamarind, lemon grass and turmeric from India; green oranges, red bananas, green and red cocoa trees from South America and avocado trees from Malaysia. Exotic spices and fruit grown on the island include pepper vines, vanilla, pineapple, Arabica and robusta coffee. And if any ladies have forgotten their make up a natural lip gloss is available – the bright red tandoori (lipstick) fruit. Kenya Airways operates daily flights from London-Heathrow to Nairobi with daily onward connections to Zanzibar. This article and all linked/embedded content appeared on the Abode 2 website on 12th December 2018 and is available here.